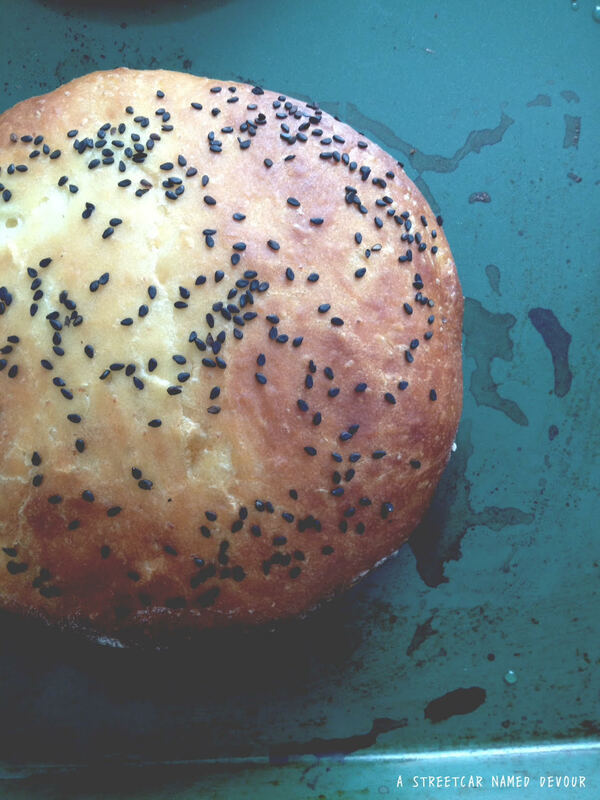 The signature component to a Cemita (a torta/sandwich native to the Pueblo region of Mexico) is its sesame seed bun. Much similar to the Brioche, the Cemita roll is soft, with hint of sweet on the inside and has a nice hard outer crust. I love using this bread for burgers, pulled pork sandwiches, too. But of course, it’s best utilized with this awesome Cemita recipe here. 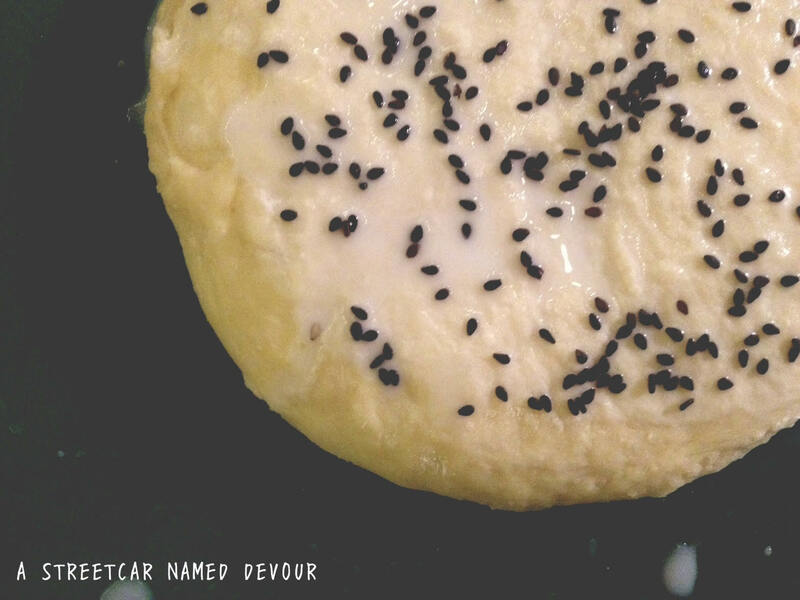 In a medium-sized bowl, combine the flour, sugar and yeast. In a separate bowl, whisk together the salt, eggs and oil. In a small saucepan, warm up the buttermilk over low heat until it’s just-warm…don’t let it boil! Slowly stir the buttermilk and egg mixture into the flour mixture till the liquid is just incorporated. Allow the mixture to rest for about 15 minutes. After the dough has rested, knead the dough on a lightly floured countertop till smooth. 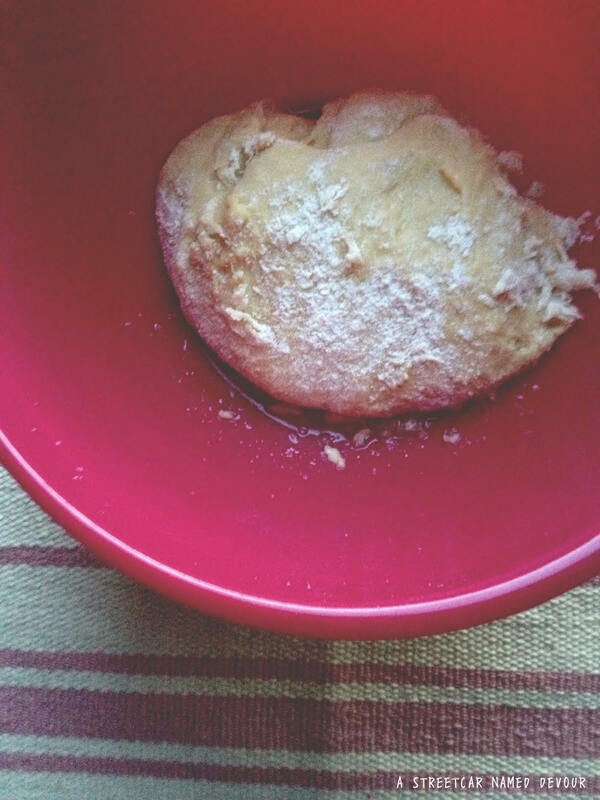 Place the dough in a well-oiled bowl. 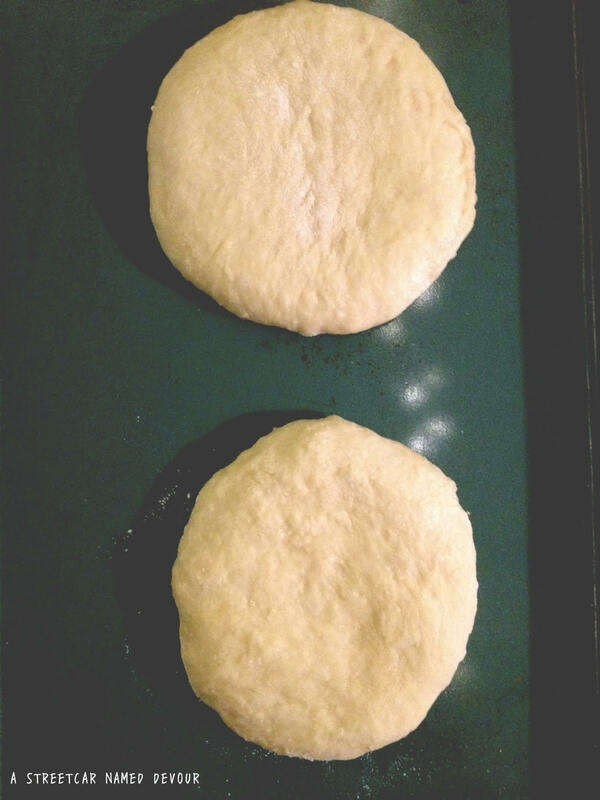 Cover with a damp towel and allow to rise for about 1- to 1-1/2-hour or until the dough has doubled in size. Once rested, divide the dough into two or four equal-sized balls. Again, cover the rolled out balls and allow to rest for an additional 15 minutes. Flatten each dough ball into a disc and place onto a sheet tray. Cover the sheet tray with a damp towel and allow the rolls to proof for a final half-hour. While the dough rolls are proofing, preheat your oven to 400 degrees F. When the dough is done proofing, stir the milk and water in a small bowl and brush the tops of each roll and sprinkle with the sesame seeds. Bake the rolls until lightly browned, about 15 minutes.